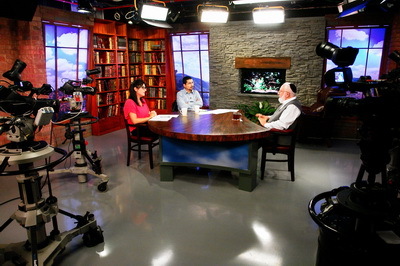 Question: What is work in the wisdom of Kabbalah? Who is the employer and who is the employee? Answer: Work in the wisdom of Kabbalah is called “the Creator’s work” because the Creator implements all of our actions according to our invitation. In this way He forces us to invite the right invitations. Question: Working for myself in opposition to others is bad, and is this not in opposition to others? Answer: Working for yourself in opposition to others is bad, and not in opposition to others is a beastly state. It is an unconscious ego. Question: How is it possible to correctly apply the principle that it is preferable to make a mistake with the group rather than being right on one’s own? Answer: Be in the group all the time. Any time, wherever one may be, at work or at home, you will feel that you are among friends, and then you will not make a mistake. It is a mistake that you are making along with the friends, which is actually a good thing. Question: If good and bad come from the Creator, then how does the wisdom of Kabbalah teach us to balance them in everyday practical work? Answer: In everyday practical work, it is up to us to remember constantly that we are in an integral system in which everything is interconnected. It is necessary to be absolutely equal in this system, balanced in it such that our relationship to it, we will be maximally capable of resembling the Creator. Question: How can I goad and encourage myself to advance more rapidly? Can the goal become the main incentive? Answer: The goal is the goal; while an incentive is a movement toward the goal. It must come from recognition of the greatness of the Creator by the group. The greatness of the Creator is the incentive. That is the energy. We must learn what a correct society is, and how we will transition to a desirable state with nature’s positive force. Without responsibility there is no human. Even animals have responsibility, there is a leader that all support. Responsibility relates to the fact that there is one force governing the world, responsible for everyone and everything. The Creator does not just simply choose someone to be responsible. However, out of the breaking of the vessels each group has a Keter. It is unlike an egoistic form of responsibility, to manage and control others, but a desire to help others. Each person is responsible for making the right communication with others, for developing a desire to benefit their group.